Screen Drying Cabinet （006005） Voltage 110V Power 800W Plug standard US, Canada Machine size 27.9"x24"x12.2" (71x61x31cm) Packing Size 32.6"x27.9"x15.7" (83x71x40cm) Net weight 80Lb (36kg) Shipping weight 88Lb (40kg) Note: * Max screen frame size : 25"x21"(64x53cm). * The top layer need to put in the screen frame in vertical direction. 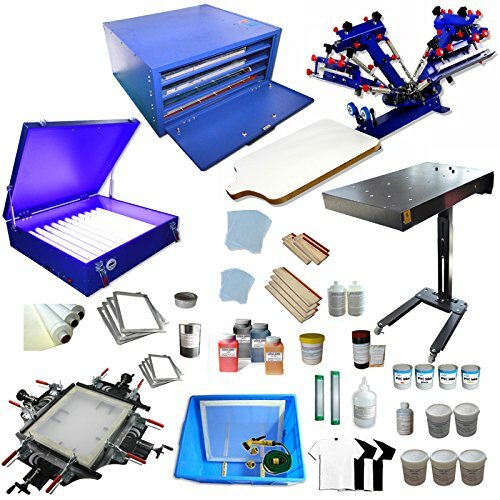 If you have any questions about this product by Screen Printing Kits, contact us by completing and submitting the form below. If you are looking for a specif part number, please include it with your message.